Jupyter notebooks are transforming the way we look at computing, coding and problem solving. But is this the only “data scientist experience” that this technology can provide? 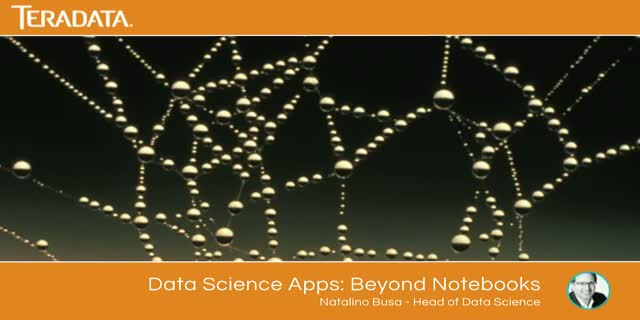 In this webinar, Natalino will sketch how you could use Jupyter to create interactive and compelling data science web applications and provide new ways of data exploration and analysis. In the background, these apps are still powered by well understood and documented Jupyter notebooks. They will present an architecture which is composed of four parts: a jupyter server-only gateway, a Scala/Spark Jupyter kernel, a Spark cluster and a angular/bootstrap web application.